Manual cylinder screen printer is used to print on some item with curved surface, such as cup/ pen/ baseball bat/glass bottles and etc. 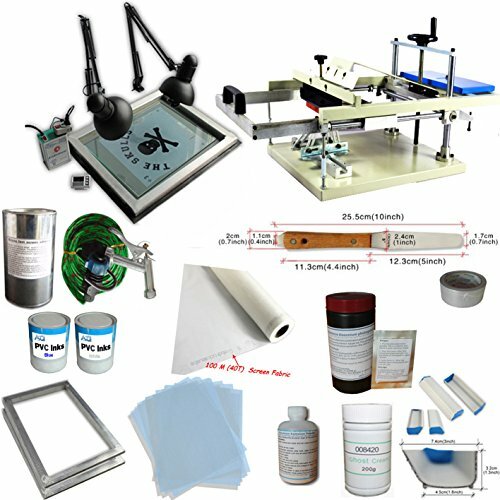 This simple UV Exposure Unit Kit is especially designed for personal usage in screen printing; it is easy operated and with very low cost, which will also be the best choice for new hand to start screen printing business. Exposure Area: 19.7"x23.7" (50x60cm) The exposure unit is exposed of two 26W UV tubes, which can be swivel adjusted while exposing. If you have any questions about this product by Screen Printing Kit, contact us by completing and submitting the form below. If you are looking for a specif part number, please include it with your message.